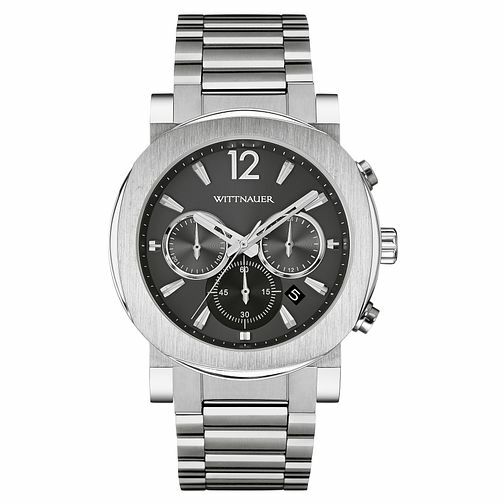 This chronograph from Wittnauers' Aiden collection features a brushed case and bracelet accented by a black dial. This is a very smart and masculine watch that can be worn for every day or as an evening piece. As well as featuring a chronograph, there is also a date aperture for added functionality. This piece is a classic 'must have' for his wardrobe.